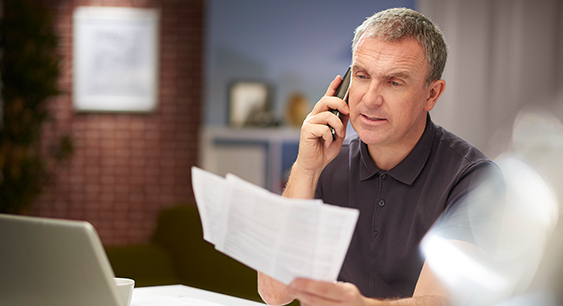 As a landlord, you have two main options when it comes to the energy bills in your properties – you can make it the responsibility of tenants to choose the tariffs and pay the bills, or do so on their behalf. If you choose the latter, you can then incorporate the costs in the rent – or charge tenants separately. In addition to the bills, you should also consider how to manage the energy within your property – namely deciding on the type of meter that’s installed and the extent of any energy efficiency measures you’d like to take. The following is an outline of these options and how they can affect yourself and your tenants. In contrast to credit meters where users receive a monthly or quarterly bill to pay for energy they have already used, prepayment meters require users to top-up the meter in advance, so they can only use energy if they’ve already paid for it. Many landlords use prepayment meters as a way of guarding against the risk of tenants moving out with debts still on the energy bill. While a prepayment meter can seem like the best option for you, it is important to consider that it is also one of the most expensive ways to pay for energy – your tenants will not be able to take advantage of suppliers’ cheapest deals, and will be paying a lot more than they would with a standard credit meter. It would be in the interest of your tenant for you to install a credit meter at your property. Incorporate the cost of your tenant’s energy bills in their rent. Manage energy for your tenant, who pays their bills directly to you. Allow your tenant to manage energy themselves, and pay their bills directly to the suppliers. Setting up an energy account in your name for your rental property. Working out how much your tenant should pay for their energy usage. Incorporating this cost into your tenant’s rent, or creating a bill for your tenant to pay. When working out how much to charge your tenant for energy, you have a legal obligation to not charge them above the maximum resale price. In short, your tenant should never pay more to you than you would pay the supplier. If your property involves multiple individual tenants, you’ll need to figure out how to charge each tenant fairly and proportionally for their energy. You’ll need to keep these calculations up to date and ready to show your tenant if they ask for it. Ofgem has published a booklet to help with these calculations. Option three gives your tenant the responsibility to manage their energy themselves, including comparing and switching suppliers or tariffs if they wish to. Like many landlords, you may wish to include a clause in your tenancy agreement that the tenant must notify you if they intend to switch tariffs or suppliers. If you have established a relationship or tie-in with a specific supplier, you’ll need to specify this – and give your tenant the details of your arrangement. Whichever option you choose, you can help ensure your tenants do not pay for previous tenants’ energy usage by taking meter readings – specifically as soon as the previous tenant moves out, and as soon as the new one moves in. Give these readings to each tenant to minimise any disagreements about energy usage. If you’ve opted for your tenant to be responsible for the energy bills, it’ll help your tenant if you send the readings to the supplier along with details of the change of tenancy. The supplier can then make sure they are charging the correct tenant for energy at the property. Raising the value of your property and increasing its appeal to prospective tenants. Due to lower bills, tenants are less likely to go into rent arrears or fuel poverty. Less risk of condensation and damp at the property. Reduced need for repairs (for example burst pipes in cold weather). Higher Energy Performance Certificate (EPC) ratings which might make your property easier to let. From April 2018, the UK government will make it illegal for landlords to rent out a house or business premises if it has less than an “E” rated efficiency rating. The ratings range from A (highly efficient) to G (least efficient). This scheme allows you to cover the cost of installing energy efficiency measures through savings on your electricity bill. The scheme applies to the electricity meter at the property, which means if your current tenant moves out the next tenant will continue the repayments. You’ll need to get permission from your tenant before signing up a property to a Green Deal plan, as well as permission from your next tenant before they move in. Likewise, if your tenant wishes to sign up to the Green Deal, they’ll need to get your permission. This scheme focuses on lower-income and vulnerable households and provides assistance with installing energy-efficiency measures not covered under the Green Deal. This could include hard-to-treat cavity walls, glazing, draught proofing and installing new boilers. This scheme allows landlords who install eligible renewable heating technology to receive quarterly payments over seven years to help cover the costs. The amount you receive will depend on the technology you install, the latest tariffs available for each technology and metering. This scheme allows landlords who install renewable or low-carbon electricity-generating technology to receive payments from suppliers. Your supplier will pay you a set rate for each unit (kWh) of electricity you generate and a further rate for each unit you export back to the electricity grid. This also means savings on electricity bills at the relevant property simply because you – or your tenant – will not have to buy as much electricity from the supplier. Suitable if you pay corporation tax or own a large portfolio of properties, this scheme allows you to claim 100% of the tax back on eligible energy saving technologies you have purchased. Making sure electrical fittings are safe – inspecting sockets and light fittings. Making sure all electrical appliances are safe. Making sure gas equipment is safely installed and maintained by a Gas Safe registered engineer. Ensuring a registered engineer does an annual gas safety check on each appliance and fuel – particularly between changes in tenancy. Ensuring you give your tenant a copy of the gas safety check record before they move in, or within 28 days of the check. Following fire safety regulations, including making sure furniture and furnishings are fire safe. If the property is a large House in Multiple Occupation (HMO), providing fire alarms and extinguishers.